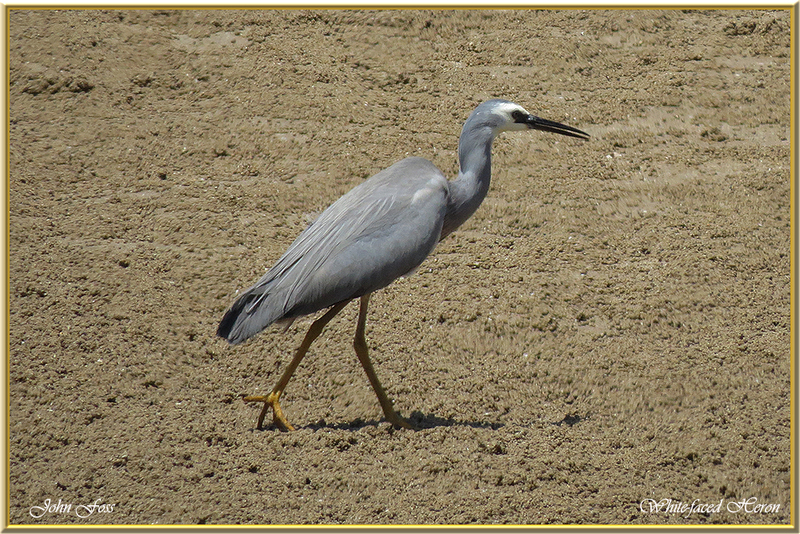 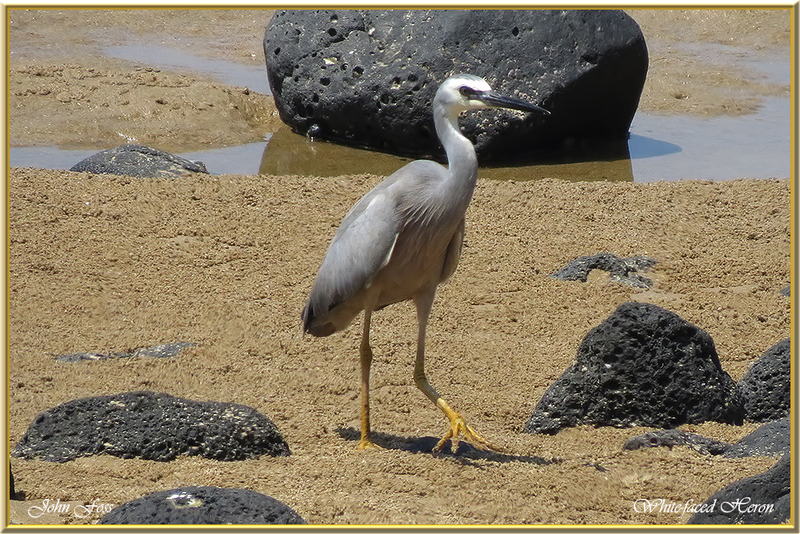 White-faced Heron - common bird throughout all but the driest areas of Australia. 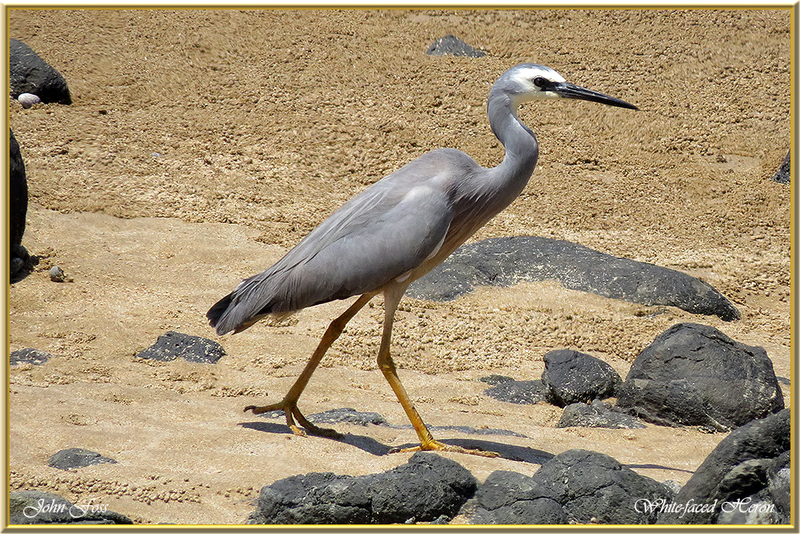 It feeds on most small aquatic creatures and their varied diet is fish, frogs, small reptiles and insects. 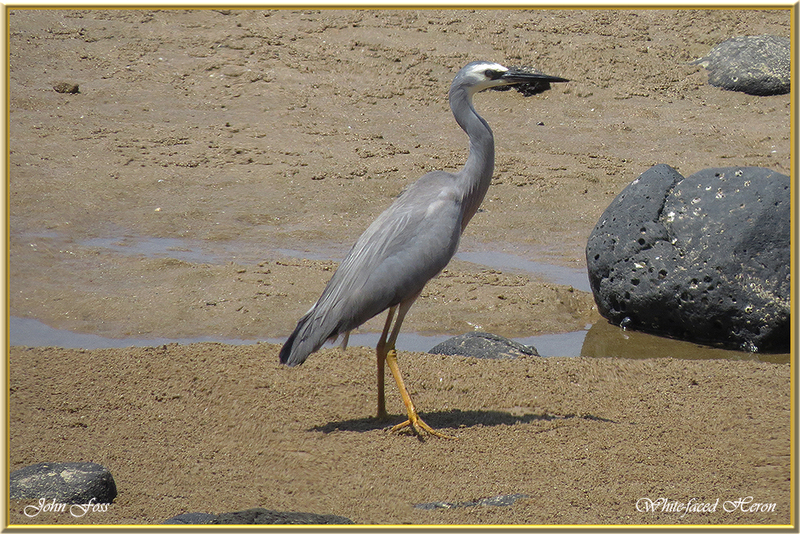 This one was foraging on Bagara beach Queensland Australia.